Curious about subscription boxes, but not sure which box is right for you? You’ve come to the perfect place! We’ve been reviewing subscription boxes since 2012, and in that time, we’ve discovered some truly amazing boxes. This list of women’s subscriptions represents our top picks for the category, including options for every personality and budget (even boxes you can try absolutely FREE). Once you’ve seen our picks, read our list of Reader-Voted Best Subscription Boxes of 2018! You can also find a full list of boxes in our women’s subscription box directory! Price: $49.99 per box (sent every quarter). Subscribe here! 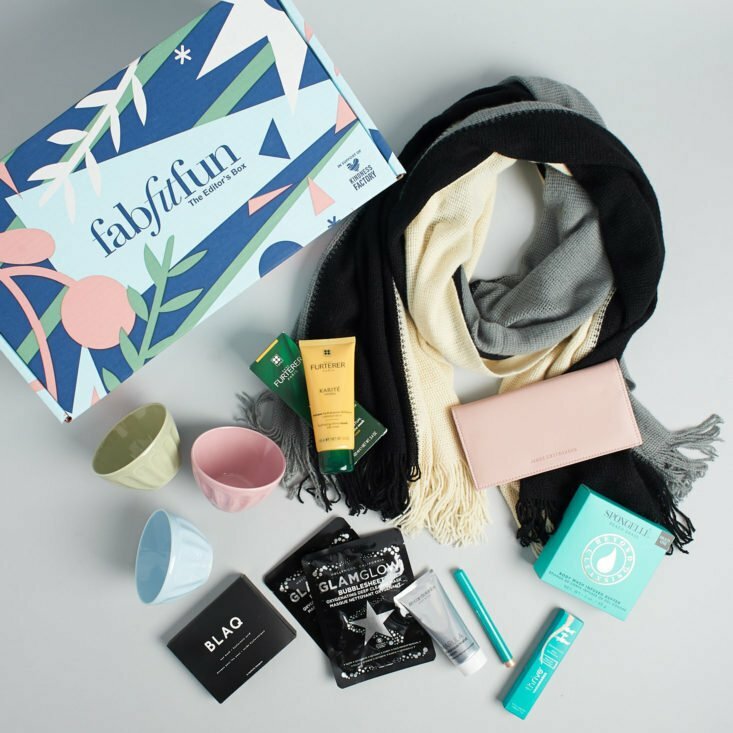 Why we love it: Each quarterly box includes over $200 of beauty goodies, chic accessories, and fun wellness items, all delivered in a cute and colorful box. (We can’t help but smile when we see it waiting on our stoop!) Not only is this crowd-pleasing subscription a hit with our reviewers—it’s also the one our readers voted as their absolute favorite box for women! Take a look at FabFitFun reviews for more information on subscribing. Ships to US and Canada. Price: Plans start at just $10 per month + free shipping. Subscribe here! Why we love it: Makeup lovers, rejoice! Ipsy is an affordable beauty subscription that connects you with full- and sample-sized products from beloved and up-and-coming brands. The high-quality products are curated to suit the unique preferences you set when signing up, and as an added bonus, subscribers get a new makeup bag in every box! Check out Ipsy reviews and spoilers for more information on subscribing. Ships to US and Canada. Price: $54.95 per quarter, or $49.95 with an annual subscription. Subscribe here! Why we love it: Socially conscious brand CAUSEBOX contains more than $150 of products sourced from ethical, community-minded, eco-friendly, and mindful companies. What’s more, their finds, which include home decor, gifts, accessories, jewelry, beauty products, and other self-care items, are always beautifully modern and unique. For more information on subscribing to CAUSEBOX, see our CAUSEBOX reviews. Ships to US. Price: $15 per month (or save with longer commitments) + free US shipping. Subscribe here! Why we love it: Birchbox is one of the best-known beauty boxes for a reason—they allow subscribers to discover new beauty brands by sending them 5 beauty samples each month. Hair products, skin care, makeup, nail polish, fragrance… You name it, they’ve sent it! Birchbox also offers the choice of a personalized, custom box of samples every month, or a Birchbox-curated box of surprise samples where you can see exactly what you’re getting before your Birchbox ships. Take a look at our Birchbox reviews and spoilers to learn more about subscribing to Birchbox. Ships to US, France, Spain, and the UK. Price: $21 per month. Subscribe here! Coupon: Use coupon code mysubaddictxoxo to get your first month FREE! Why we love it: Renting is truly en vogue these days! Just as Le Tote lets you rent an endless closet of on-trend clothing, Rocksbox lets subscribers rent three-piece sets of designer jewelry for as long as they want before swapping them out for a new round of gorgeous styles. The sets of like-new jewelry are styled to match your preferences, and if there are pieces you’re particularly eager to try, you can add them to your Rocksbox wishlist so your stylist knows to prioritize them. Can’t bear to part with a certain piece? You can always buy it for a special member price! Read our Rocksbox reviews to learn more and to get all the details on subscribing. Ships to US. Price: $99.99 per quarterly box. Subscribe here! Why we love it: Each season, celebrity stylist Rachel Zoe hand picks the gorgeous jewelry, accessories, cosmetics, and other finds that appear in her très chic subscription box, Box of Style. Subscribers get over $400 of high-quality products from trending brands, all packaged in a sleek box that perfectly captures Rachel’s cool, LA aesthetic. Check out our Box of Style Reviews for more information on subscribing. Ships to US, Canada, and Australia. Coupon: Sign up here to receive $5 off your first box! Why we love it: We’re smitten with the generous sample sizes in this beauty box! Allure Beauty Box subscribers receive five beauty samples each month, sometimes including a full-sized item, a bonus sixth item, or a sample from a high-end brand. 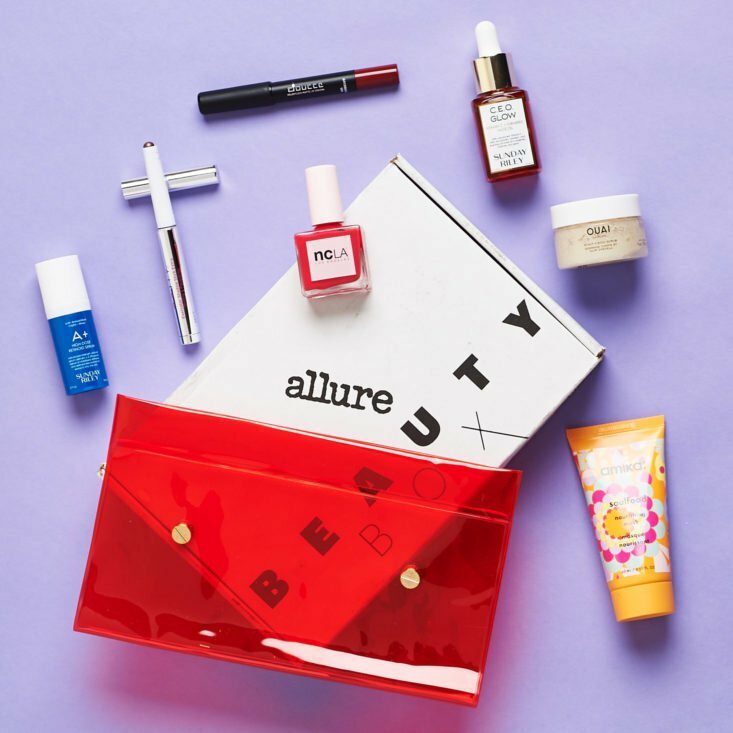 This box brings the fun of flipping through Allure Magazine to life! Take a look at our Allure Beauty Box reviews and spoilers for more information. Ships to US. Price: $39.99 per month + free US shipping. Subscribe here! Why we love it: Singlehood deserves to be celebrated, and this subscription box helps you do just that! Each SinglesSwag box contains five to seven upbeat, inspiring items, including bath and beauty products, accessories, snacks, sweets, and books. It’s the perfect treat-yourself box! Check out our SinglesSwag reviews for more information on subscribing. Ships to US and worldwide. Price: $35 per month. Subscribe here! Why we love it: This jewelry subscription gets you one step closer to achieving that effortless French girl chic. Each box comes with a bold, yet minimalist piece of jewelry valued between $50 and $200, a magazine on French jewelry and fashion trends, a certificate of authenticity, and care instructions. If you’re looking for a sophisticated jewelry subscription, Emma & Chloe is perfect for you. Take a look at Emma & Chloe reviews to learn more about subscribing. Ships to US and Canada. Price: $75.00 per quarter. Subscribe here! Coupon: Use coupon code MSA20 to save $20 off your first box! Why we love it: The POPSUGAR site has long been the internet’s one-stop-shop for pop culture, fashion, and lifestyle news. The POPSUGAR quarterly subscription box brings the trend-savvy fun of the site to your doorstep, sending you over $250 of beauty, fashion, food, home, and wellness must-haves each season. Everything is editor-tested, too, so you know you’re getting something truly chic. Check out our POPSUGAR Must Have reviews for more information on subscribing. Ships to US. Why we love it: Boxycharm’s value is unbeatable in the beauty box world—we’ve found that you get an average of $100 worth of products in each monthly box! Subscribers receive six items per month, including four full-sized products and one to two samples of makeup, skin care, nail, hair, and other must-try products. Boxycharm is always our recommendation for women looking to limit themselves to a single beauty box each month. Check out our Boxycharm reviews and spoilers for more information on what you get when you subscribe to Boxycharm. Ships to US and Canada. Price: Plans start at $59.00 per month. Why we love it: What’s the newest trend in fashion? Renting! That’s right—Le Tote gives you access to a rotating closet of gorgeous pieces styled to match your unique taste. Each month, you’ll get a new assortment of clothing to wear, return, and swap out something new. With Le Tote, there’s no such thing as a wardrobe rut, because you’re always getting new pieces (from dresses and separates to necklaces and bracelets) to try. Plus, since you’re always swapping something out to get something new, you won’t have to worry about KonMari-ing an over-crowded closet any time soon! Read our LeTote reviews to learn more about subscribing. Ships to US. Price: $10 a month. Subscribe here! Why we love it: Sephora’s beauty subscription connects you with samples of the big-name brands and products you’re curious about for an unbelievable price. Each box comes with five deluxe beauty samples, a fragrance sample, a PLAY! book of tips and tricks, and a PLAY! Pass good for in-store learning and 50 extra rewards points. It’s the perfect way to experiment with the hottest new names and formulations in beauty! Check out our PLAY! reviews and spoilers for more information on what you get when you subscribe to Play! by Sephora. Ships to US. Price: $24.95 per month (or $34.95 for non-recurring purchases). Subscribe here! Prepare to Get: Amazing skincare products! BeautyFIX by Dermstore.com believes that beauty begins with healthy skin, which is why their specialty is complexion-perfecting skin care. With a value of over $100 per box,BeautyFIX offers a mix of hair care, cosmetics, and most importantly, nourishing products for your skin. Take a look at our BeautyFIX reviews and spoilers to learn more about subscribing to BeautyFIX. Ships to US. Price: $79.00 per month or $89.00 every 3 months. Subscribe here! Why we love it: YogaClub uses your preferences and sizes to match you with new high-quality fitness outfits from brands like Teeki, Onzie, Jala, Manduka, Vestem, Free People, Nux, and more! We love how each mix of leggings, pants, bras, and other looks coordinates—flaunt the pieces all together or mix and match them into your existing wardrobe. Plus, for every workout box purchased, YogaClub provides a yoga class for a child in need. Check out our YogaClub reviews to learn more about subscribing to YogaClub. Ships to US and Canada. Price: $40.00 per month + free shipping for your first month! Subscribe here! Coupon: Use coupon code MSAWELCOME to save $10 off a 3, 6, or 12-month subscription! Why we love it: Shopping ethically? Globein connects you with a monthly collection of fair-trade decor, kitchen, and lifestyle items from around the world, all centering around a new theme. You’ll also get a monthly booklet that tells the stories of the artisans, communities, and companies behind each item you receive. (GlobeIn also offers two other subscriptions: the Essential Box, which includes one item for $10 a month+shipping, and a Starter level which credits your monthly membership fee to GlobeIn’s online shop.) We love the beautiful colors and textures featured in this box and the number of practical items, such as ceramics, serving ware, and frames, that we’ve been able to integrate into our day-to-day lives. Check out our GlobeIn reviews for more information on subscribing. Ships to US. Price: $20 per month. Subscribe here! Coupon: Use coupon code BOX10 to save 10% off your first month when you sign up here! Why we love it: Cocotique delivers the best in beauty for women of color right to your door! The monthly boxes feature five to eight must-try beauty and hair products, including deluxe and full-sized products. Most often, you’ll see a mix of brands featured in the box, but sometimes boxes will spotlight just one noteworthy company. Cocotique also offers amazing limited-edition collections throughout the year (with incredible value), so keep your eyes peeled for those great offers! Take a look at Cocotique Reviews for more information. Ships to US for free. Price: $25 styling fee, credited towards any items you choose to keep. Pay only for what you keep. Subscribe here! Why we love it: Trunk Club is Nordstrom’s personal styling service, meaning you get all the fun of an upscale shopping experience without having to set foot in a store. Email, call, or use Trunk Club’s special chat portal to connect with your stylist, then receive seven to ten hand-picked clothing and accessory items for you to try on at home. Keep what you love and send back what you don’t—it’s that simple. Your stylist sticks with you from order to order, taking your feedback and learning what you love most so that each “trunk” is even better than the last. Trunk Club also price matches all items within 14 days of purchase exclusively to Nordstrom, and the $25 styling fee is waived when you use a Nordstrom credit or debit card! Take a look at Trunk Club Reviews for more information on subscribing. Ships to US (with shipping and return fees for Hawaii and Alaska). Price: $115 for 3 months. Subscribe here! Why we love it: Does your beauty cabinet need a detox? Beauty Heroes introduces subscribers to one new natural, organic beauty or skincare brand each month, opening your eyes to cleaner alternatives to your mainstream faves. You’ll get one “hero” item (a.k.a. a full-size item) and a “side-kick” item (full- or deluxe-sized) to try with each box. We love the gentle, effective products we’ve discovered via this subscription! Check out our Beauty Heroes reviews and spoilers to learn more about subscribing to Beauty Heroes. Ships to US, Canada and worldwide. Price: $9.78 per month, which goes towards any items you choose to keep! Subscribe here! Coupon: Use referral code NADINE to get your first box free! Why we love it: This styling service is both convenient and affordable. Each Nadine West envelope includes up to four items curated to match your sizing preferences. Their aesthetic is pretty, casual, and comfortable, and features coordinated pieces that look beautiful separately or worn all together. Return what you don’t want, and keep what you love for a great price! Check out our Nadine West reviews for more information on subscribing. Ships to US. Price: $59.99 per quarter + free shipping. Subscribe here! Coupon: Sign up here to save $15 off annual subscription! No coupon code needed. Why we love it: VineOh! boxes contain two bottles of premium wine, a tasty treat, and a slew of self-care surprises like jewelry, beauty products, and delightful home accessories. Valued at around $150 per seasonal box, VineOh! is the perfect subscription to make you feel like a queen for day. Take a look at our VineOh! reviews and spoilers for more information on subscribing. Ships to US (except for AK, AL, AR, DE, HI, KY, MS, OK, RI, UT). Price: Totes start at $59.00. Subscribe here! Why we love it: Unlike other styling services, Golden Tote offers a delightful blend of mix of surprise styles and pieces you can hand-pick yourself. Each month, they release a new “collection” of items, including trendy and timeless separates, dresses, denim, and more. Pick pieces you love, and let Golden Tote’s stylists fill the rest of your tote with looks chosen based on your style profile. With three different subscription options, Golden Tote’s personal styling service is perfect for people who like to personalize their choices. Take a look at Golden Tote reviews and spoilers for more information. Ships to US and worldwide. Price: $125 per box with a quarterly subscription, or $120 per box with an annual subscription. Subscribe here! Why we love it: Mostess is the fun, convenient way to upgrade your decor every season. Each box contains curated picks for your household, such as cocktail ingredients, glassware, tableware, linen, stationery, bar cart items, and more. All items are full-sized and perfectly coordinated! Additionally, Mostess includes a booklet of recipes, home decorating tips, and other helpful household info with each box. Take a look at Mostess reviews and spoilers for more information on subscribing. Ships to US. Price: $20.95 a month. Subscribe here! Why we love it: This monthly collection of cruelty-free, vegan, and paraben-free makeup helps you look AND feel good about the products you’re using! Subscribers receive four full-size makeup items monthly, plus a new makeup bag to stow your new goodies. Take a look at our So Susan Color Curate reviews and So Susan Lip Love spoilers to learn more. Ships worldwide. Didn’t find the right subscription box? Don’t panic! Check out our Favorite Beauty Subscriptions of 2018 and Best Monthly Beauty Subscription Boxes to find the perfect subscription box for you! I’m surprised that Trunk Club made the list. I did it for over a year and the problem I experienced is that the trunk wrinkles the clothes so badly that some of the wrinkles don’t come out no matter what you do. I tried laundering, ironing, steaming, etc. Considering this us through Nordstrom, I’m surprised they aren’t embarassed. I’ve tried it for a while but now I’m done. What about Glossy Box? Thought it would have made at least the top 10. But then again, guess these are only the Opinions of your Reviewers. Not all of us think and like the same things. That’s why its great that we have so many. I have tried many diff ones. None of the subscriptions can be a 100% love for everyone, every single month. What folks really need to do is sign up for a subscription on a month to month basis and at least try a subscription for 3-4 months before ever signing up for a year (on those that come monthly) and at least try 2 seasons on seasonal subscriptions first. There are some fantastic subscriptions out there. Some are for those who have plenty of money to spend. Some are for those who can’t afford to spend a lot, but will provide some truly nice items. Please don’t forget Wanderlust, Therabox, and Coastal. They are pretty excellent too. 🙂 Peace and Love.